Lamm's decision to hang up the headphones at the age of 63 is particularly pertinent to me. Our paths have crossed in so many different paddocks over the years, paddocks all around the world. It started with the British Touring Car Championship back in 1993 and stretched through Schnitzer's sportscar campaigns in the late '90s and early 2000s. It continued into the World Touring Car Championship and finally back into my more regular patch with the Intercontinental Le Mans Cup at the start of the present decade. But there's something that links all of those Schnitzer campaigns beyond my own presence as a journalist. The team was a winner, not necessarily of championships (though mostly so) but always of races. I feel grateful that I was able to witness so many victories for one of the greatest teams of all time. And in my mind there is no doubt that Schnitzer is the 'GOAT', to invoke the acronym so in vogue today, of touring car racing. Statistics are on its side. It started with a run of titles in the old European Touring Car Championship, then known simply as the ETC, in the 1980s and stretched right through to BMW's comeback victory in the DTM in 2012 with Bruno Spengler. In between times it won the original, one-off World Touring Car Championship in '87, the DTM in its Group A days, the Italian Superturismo series three times on the trot and then Super Touring titles in Britain, Japan, Germany and the Asia-Pacific region in the '90s. It didn't win the born-again WTCC in the 2000s, but it did claim no fewer than 25 victories over the course of five seasons. 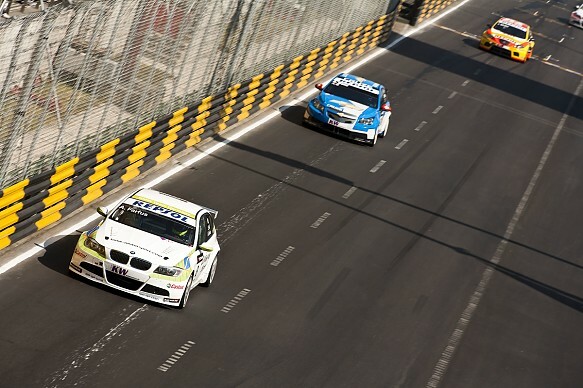 Then there are its victories in the major tin-top enduros, the Nurburgring and Spa 24-hour events, not to mention the Macau Guia race, a prestigious end-of-season shootout, in which it triumphed no fewer than 13 times! Schnitzer also doesn't have a too shoddy record in sportscars, though - in spite of my predilections as far as motorsport goes - I will always think of it as a touring car team. 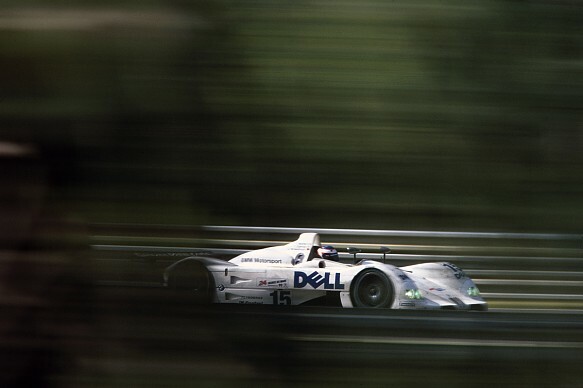 All you need to know, if you don't already, is that Schnitzer won the Le Mans 24 Hours in 1999, a year that was the high watermark for manufacturer participation at the great race. For many, Lamm and Schnitzer Motorsport are almost interchangeable. He wasn't the team, of course, though he was its public face, and the go-to man for members of the press like myself. That was partly because he was most definitely the boss and partly because he liked talking to us. He always had a story to tell, an opinion to offer, and wanted to hear what we thought, too. Lamm wouldn't like to it to be said that he turned Schnitzer into the behemoth that it became. He's far too modest for that, but it was under his watch that it racked up all those successes in whichever arena BMW deemed it should compete. The first major championship triumph for Schnitzer in 1978 illuminates the importance of Lamm in the team's story, in its ascent. 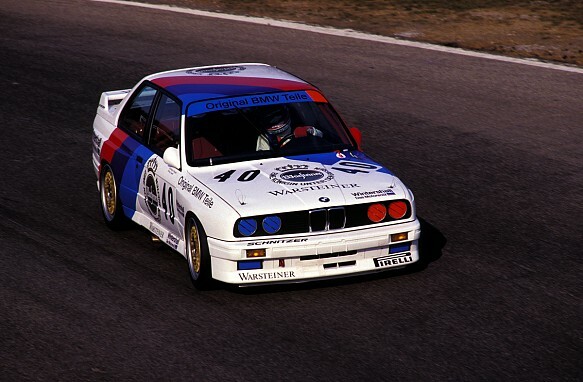 Harald Ertl claimed the German DRM title in a Schnitzer-run BMW 320i, powered by a 1.4-litre turbo engine. Or more specifically in a BMW run by Herr Karl 'Charly' Lamm. The 23-year-old was running essentially what was a side project to the main team's assault on the same championship - but in a different class - with the Group 5 Toyota Celica, the only non-BMW programme in its history. Lamm was on work placement with the family operation in the middle of his industrial engineering degree at Munich University. Ertl, a racing journo with an eye for a deal, had found some sponsorship, so it was a case of 'here you go, Charly'. It all sounds a bit unlikely, but it wasn't quite like a 'workie' showing up in the DTM these days to run an extra BMW M4 out the back of the RBM workshops. Lamm was already well steeped in the ways of the family team: he'd been turning out with Schnitzer at the weekends since he was a teenager and still at school. Lamm started attending races in 1970 with the team founded by his half-brothers Josef and Herbert Schnitzer. His mastery of English was one reason why he was taken along, his understanding of a complicated split-timing system pioneered by famed Matra scorer Michele Dubosc was another. Both were significant additions to the team's armoury nearly 50 years ago. English wasn't as widely spoken to such a high level in Germany as it is today, and certainly not in Schnitzer's small hometown of Freilassing in Bavaria. And in pre-transponder days, there was little of that vast bulk of timing information available in an instant in the modern era. And what you did get, you had to wait for. Lamm had read an article about Dubosc and was able to work out her system. "I could time 12 or 14 cars at once with one stopwatch," he recalls. "Josef asked me to do the split timing during the sessions and the lap chart during the races, which was very important back then because we were mostly doing endurance races. I had to pretend to be ill every second Friday and Monday so I could skip school, though it became easier when I went to university and could manage my own time." Lamm's mastery of the Dubosc system offers an insight into the skillset that helped him turn Schnitzer into an ultra-successful team. He brought an attention to detail and a discipline to the operation. He was ahead of the times in what could be termed a more laissez-faire era. "Some teams would build fast cars, but would say a pitstop takes as long as it takes," says Lamm. "I suggested that we needed to work out a choreography for the stop to see who had to do what. Then we had to practise to become more efficient. "That's where we got our reputation as being top endurance guys in the ETC, and I think we deserved it. In pitstops, race strategy and calls on tyres we were always very strong. I would agree that I was always very organised." 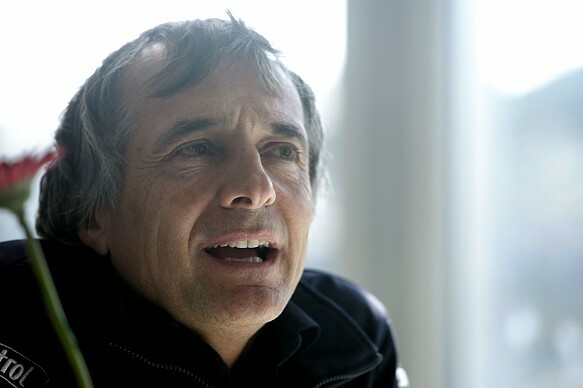 Lamm joined Schnitzer full time in 1981 as team manager. (He jokes 37 years later that he's had a "pretty flat" career trajectory.) The touring car successes with BMW started to flow immediately: it claimed the ETC title with Dieter Quester in '83 and back-to-back victories in its blue-riband round at Spa in 1985-86. Yet for all Schnitzer's touring car successes, Lamm picks Le Mans as his personal favourite, as the highlight of his career. "The race of my motor racing life has to be Le Mans 1999," he says. "We didn't get so many chances to win there, but the reputation of that race makes it an amazing result." The Williams-built V12 LMR BMW had a short lifespan. It only raced once at Le Mans and continued for another season in the still-new American Le Mans Series. 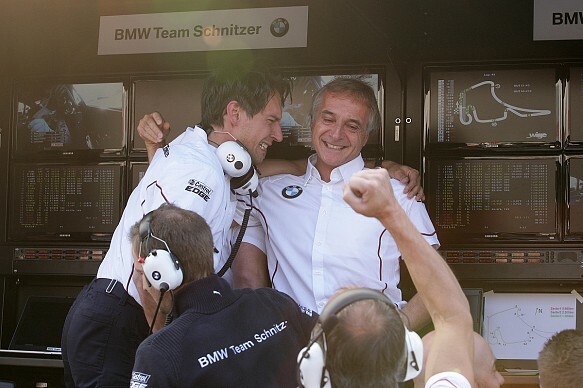 Schnitzer switched to the GT ranks in North America with the M3 GTR the following year. It won the class title with Jorg Muller before BMW pulled out after a series of rule changes aimed squarely at what had always been a controversial machine. Schnitzer was sent to the ETCC for 2003, which is where it stayed as the series morphed into the WTCC. There would be occasional forays back into endurance racing for Schnitzer - and it would bring its tally of victories in the 24 Hours at the Nurburgring to five - but the team's focus would be on sprint racing for the remainder of the decade. 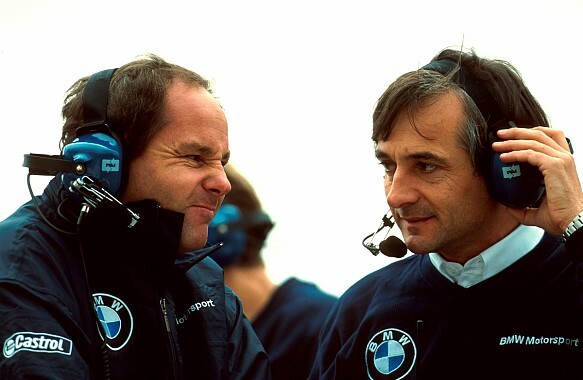 Lamm never hid the fact that his first love was endurance racing, and I couldn't help thinking during those seasons in the Super 2000 ranks in the noughties - I reported on four of them - that Schnitzer was somehow missing its vocation. But Schnitzer had to go where its long-time employer told it to go. Touring car racing was by then to all intents and purposes a sprint-only discipline and BMW Motorsport had no sportscar programme until right at the end of decade. So the ETCC/WTCC with half-hour races was where Schnitzer had to ply its trade. It didn't do to badly, of course. And to my mind, it only added further weight to the argument that Schnitzer Motorsport with Lamm at the tiller is the Greatest of All Time when it comes to touring car racing. Has Ferrari faltered or Mercedes thrived? Gary Watkins has, for reasons best known to himself, devoted all his working life to covering sportscar racing. This season is his 25th as a motorsport journalist, during which time he has reported on major long-distance events on four continents and approaching 60 24-hour races. He reckons a degree in political philosophy makes him well qualified for covering the sometimes Machiavellian world of international sportscars. Gary, who also writes for RACER, Autoweek, Motor Sport, Autocourse and others, lives in Surbiton but spends more time on the road than at home for most of the year.